Absolutely breathtaking. 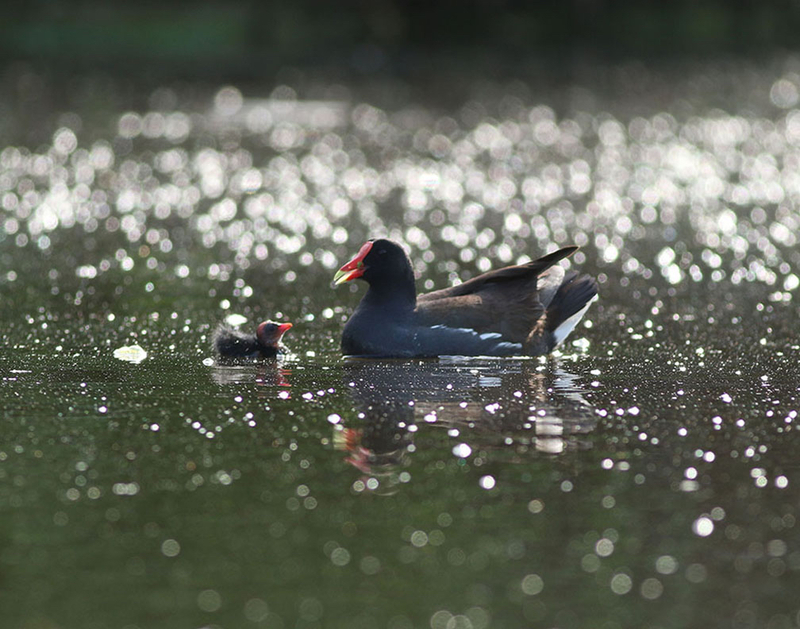 That was my thought when I first saw Ron Shield’s spectacular photos from late June and mid-July of a Common moorhen nest at the Kearny Marsh and the resulting fledgling, on its own and hanging out with mom. 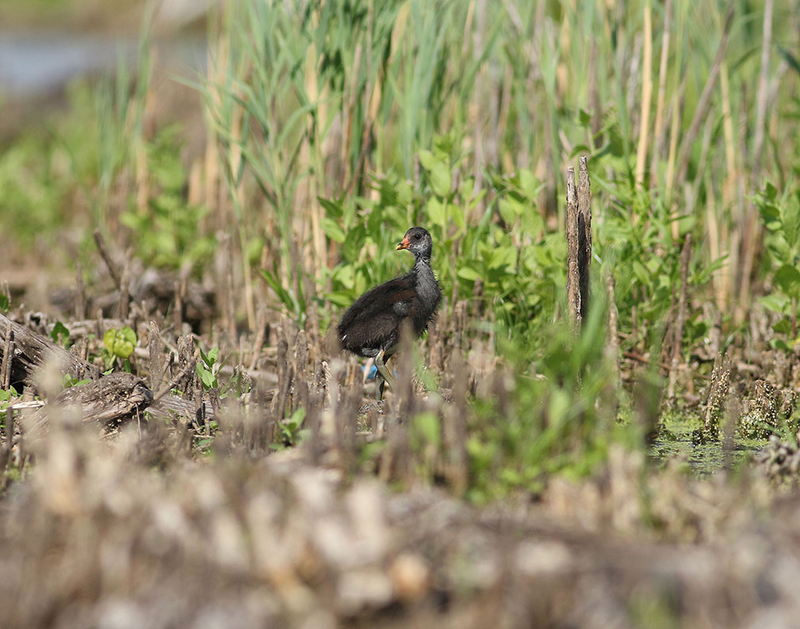 “Wonderful surprises are often had in the Meadowlands. 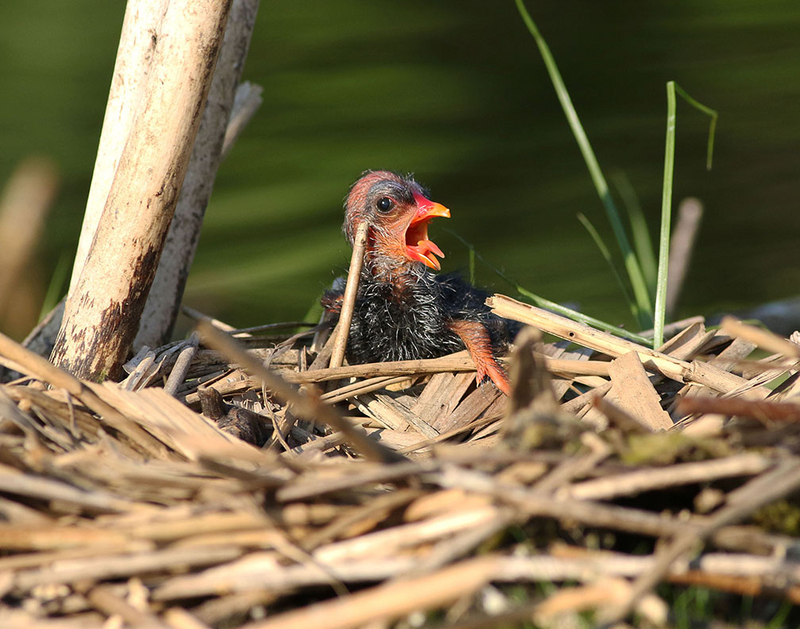 Some of these surprises are extremely special as was my discovery of a Common moorhen’s nest in the Kearny Marsh in late June,” Ron said. 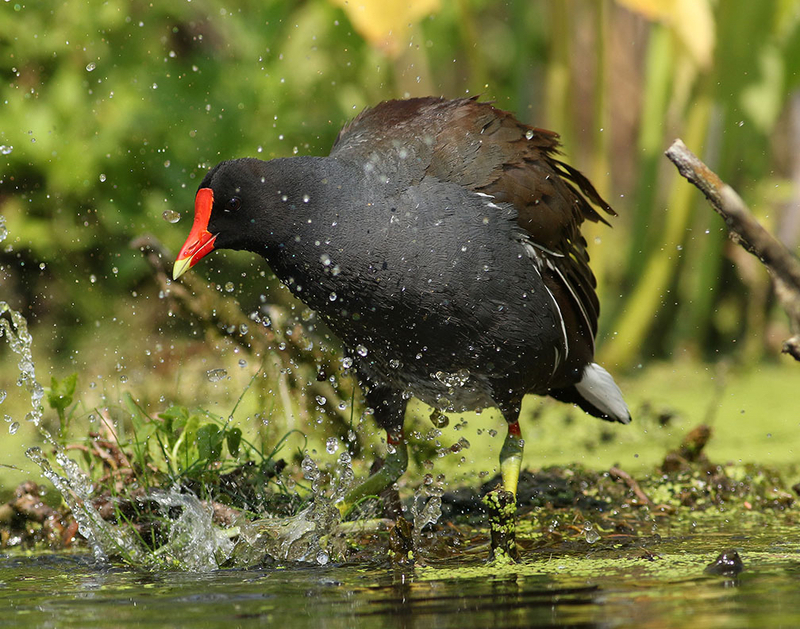 He continued: “Most intriguing was the fact that the nest was built out in the open with very little cover or disguise; Moorhens are usually very secretive. 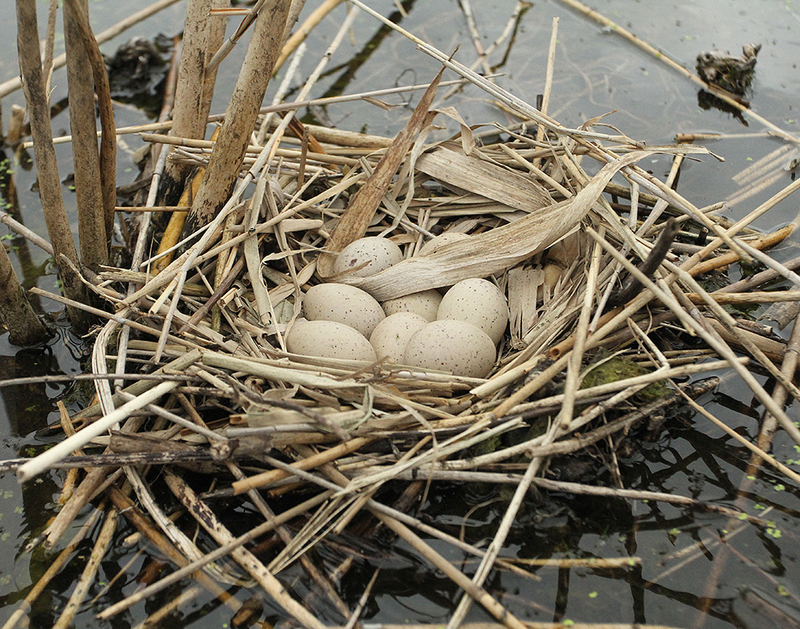 All in all, eight eggs were laid. 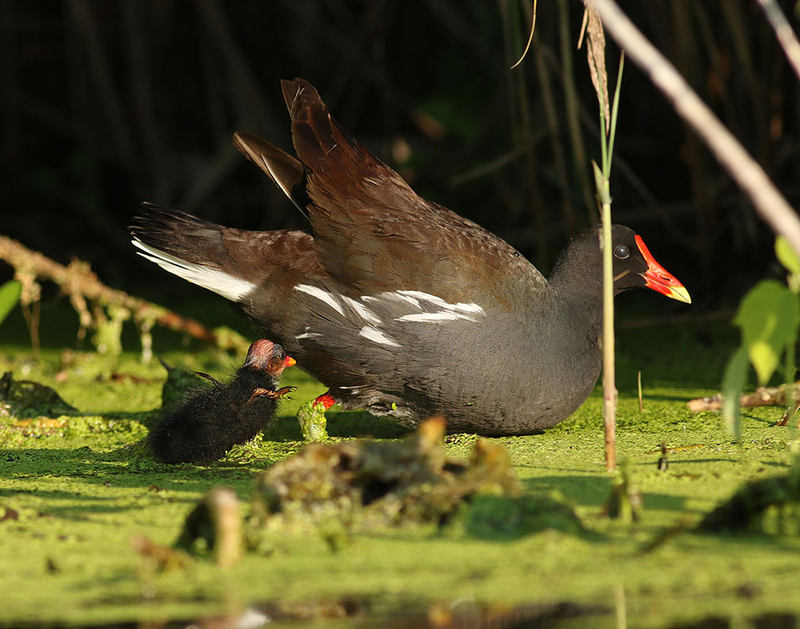 For several weeks, the adult moorhen tended the nest and fended off intruders such as raccoons, milk snakes and mute swans seen in the vicinity. She did so by puffing her feathers and splashing water about with her feet. 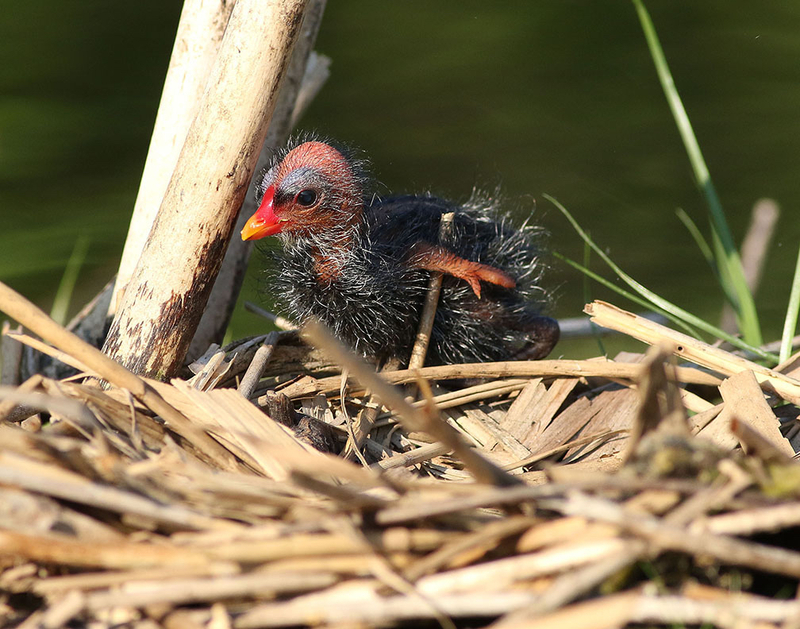 Hatching occurred in the middle of July, and I was present when the last baby moorhen (nicknamed Moortimer) left the nest. Additional images portray mom with Moortimer making their way towards cover. My most recent image of Moortimer was as a growing juvenile. Ron, how do you access the Kearny Marsh now that the Gunnell Oval entrance is pretty much blocked off?